Watch out for news on the US National Mòd for 2015! Posts will be coming on Facebook, the ACGA Website, and here! Our first annoncement for 2015 will be for the Mòd materials. With less than a month to go before the U.S. National Mòd Sept. 19-21, it’s time to download and peruse the 2014 Mòd rules if you don’t already have them. The rulebook is available in pdf format in our Mòd Materials section, but for quick and easy access we’re also posting the US Mod 2014 Rules here on the main page of our website. Just click on the link above! Tha sinn an dòchas gum faic sinn sibh aig a’ Mhòd ann an Ligonier a dh’aithghearr. The 2014 U.S. National Mòd is Coming! The 27th annual U.S. National Mòd is just around the corner — September 19-21, at the Ligonier Highland Games, about an hour’s drive east of Pittsburgh, Pennsylvania. Mòd Naiseanta Aimeireagaidh is a great opportunity to meet and hear native Scottish Gaelic speakers, fluent learners, and adventurous newcomers tackling Gaelic songs, stories and poems in competition and at cèilidhs. It’s great time to soak up as much Gaelic as you can in a friendly, relaxed non-classroom environment (we do offer workshops during the Mòd weekend). What’s more, you can be part of a Gaelic community – without the cost of a round-trip airfare to Scotland! Both Gold Medalists from Scotland’s Royal National Mòd will be attending our event. 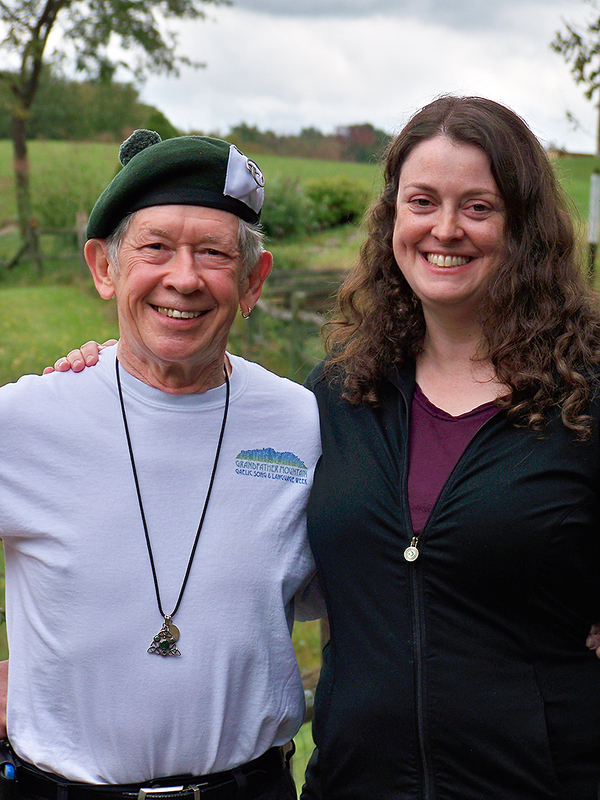 This year, we will have the honor to welcome the female and male medalists, Eilidh Munro and Robert Robertson, brought to us courtesy of An Comunn Gaidhealach of Scotland. This year we are very excited to welcome Lewis Mackinnon, the Executive Director of Gaelic Affairs for the Canadian province of Nova Scotia, as our adjudicator this year. 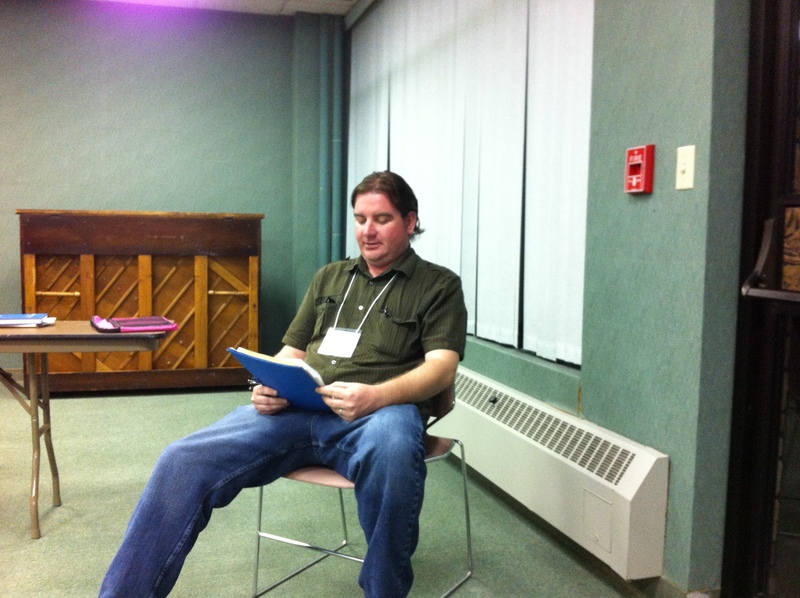 This will be a first here for Lewis as our adjudicator, and it will be a unique opportunity to meet and speak with someone at the heart of the Gaelic revival in Nova Scotia. Lewis is an accomplished educator, singer and poet — in 2011, Lewis was named bàrd or poet laureate of the Royal National Mòd in Scotland, the first Gael from outside Scotland to achieve the honor. If you have ever wanted to see the Mòd or meet with native speakers, to compete and try out your Gaelic, or just to attend the games and take in the Mòd experience, sign up! Go to https://usmod.wordpress.com/mod-bulletin-an-cuairtear-ceolmhor/ and you’ll see what you need to do. You can direct any questions to Michael MacKay at macaoidh88@gmail.com. We do ask that you send in your forms by September 14 so that we can get a good head count. We welcome donations to support our efforts to continue holding Mòd Naiseanta Aimeiragaidh. Donations are tax-deductible in the United States as allowed by law. There is a donation page on the form mentioned above, and you can also donate on the AGCA website. The Mòd Committee hope you will be able to join us in Ligonier, or if not, that you will consider making a donation. We raise funds throughout the year at events like our Spring Mòd Concert in Alexandria, Virginia. Write to macaoidh88@gmail.com for more information on how to contribute. Another fun and fruitful Mòd was had by all of the competitors and fans in Ligonier! 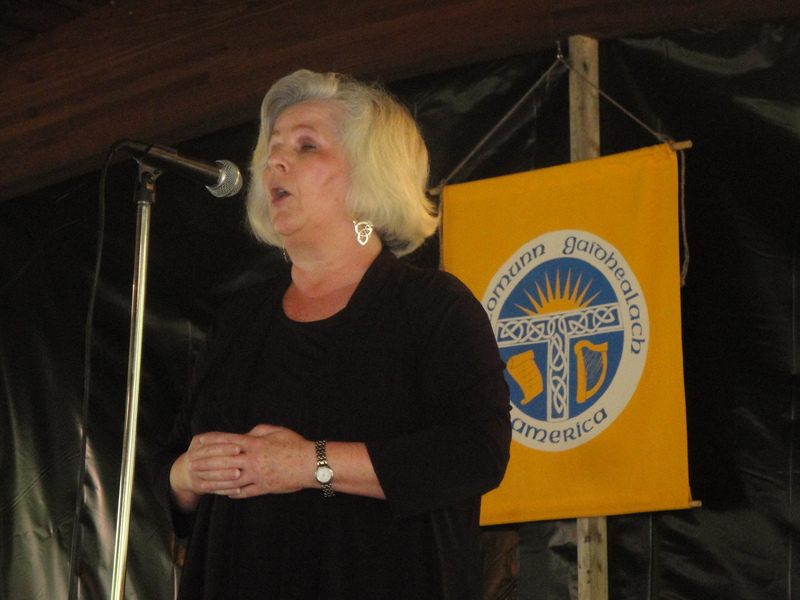 Gaelic singers and supporters once again flocked to Ligonier, Pennsylvania for the 26th annual U.S. National Mòd, held at the Antiochian Village and the Ligonier Highland Games. This year’s event brought people from New York, Ohio, Virginia, and nearby Pittsburgh to compete in song, story, and poetry, and to receive encouragement and advice from native and fluent speakers. The Mòd began Friday with dinner followed by competitions Gaelic literature. 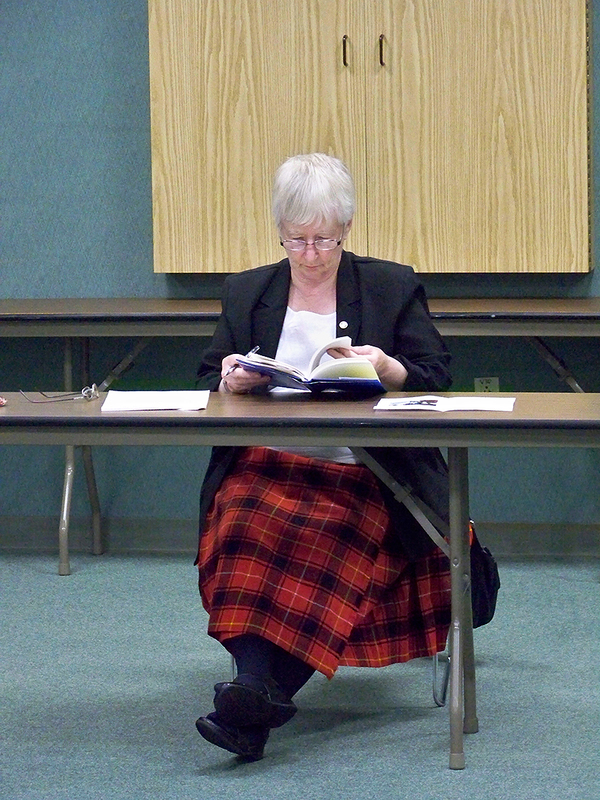 Our adjudicator this year was Catrìona Parsons of Lewis and Antigonish, who returned to the U.S. Mòd after being a long-time supporter and adjudicator in years past. We also welcomed the Gold Medal winners from the 2012 Royal National Mòd in Scotland, Calum MacLeòid and Eilidh Davies, and we continued the fine Mòd tradition of “fun is more important than sleep” over the course of the weekend. Song competitions, from prescribed songs to own choice, work songs, puirt-à-beul and a choir competition, followed Saturday. 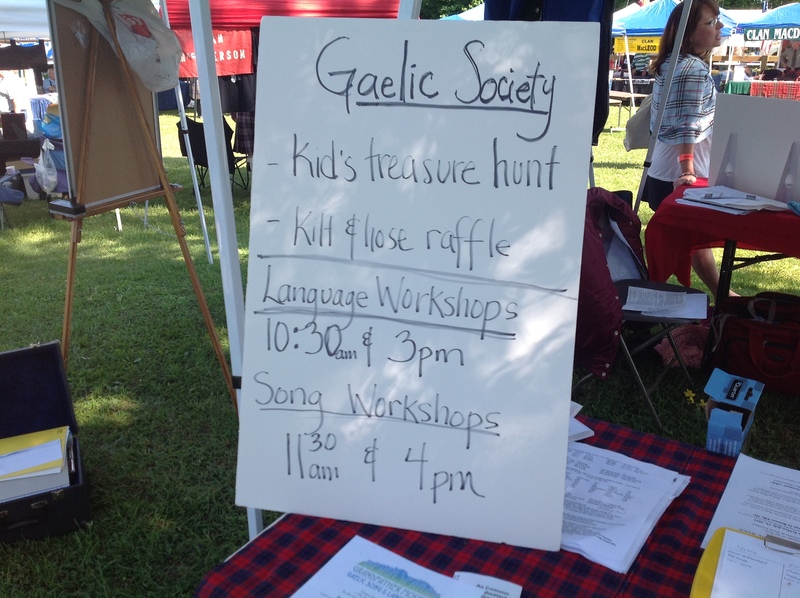 If you’re new to learning Gaelic or to Gaelic song, you may wonder what the U.S. National Mòd is about, or what it’s like to attend. The Mòd has come a long way from when it was a small, one-day event in Northern Virginia. Now it’s a three-day event with multiple competitions, a dinner and cèilidh and a workshop. But it’s still small enough that you’re never lost in a crowd and have plenty of time to meet and talk with everyone, including the adjudicator and our Scottish guests, Eilidh Davies and Calum MacLeòid. At the Ligonier Highland Games, the Mòd has its own stage, an ACGA bookstore and lunch area on Saturday. But the events start Friday afternoon at the Antiochian Village Conference and Retreat Center a few miles north of the village of Ligonier. For the weekend, the Antiochian Village becomes our own Clachan Gàidhealach, or Highland Village. For 17 years we’ve stayed at the Village, which offers rooms for one to four people, dinner on Friday night, breakfast Saturday and Sunday and lunch Sunday as well. 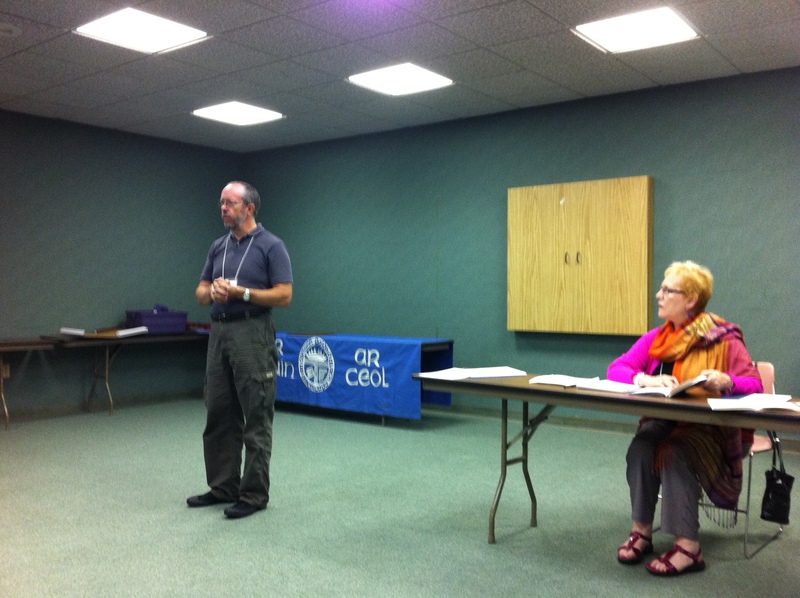 The Village also provides conference rooms that we use for competitions and workshops. The Village provides a clean, friendly and convenient base for all of our activities. We open registration there at 3 pm on Friday — with plenty of time to settle in before dinner in the Village’s dining hall. In the evening, we launch the Mòd with an orientation, a few songs from our Scottish guests, and the poetry and storytelling competitions, with a relatively new competition, sight reading a passage of Gaelic prose. The storytelling or sgeulachd competition has become very popular over the past few years, with upwards of five storytellers of all ages contributing and competing for the Duais Dhaibhidh MhicRisnidh, the David MacRitchie Award for the best-told traditional tale. This year it was Iain Grimaldi who took the prizes for Poetry and storytelling. Congratulations, Iain! Saturday’s activities begin early in the morning, with the singing of a prescribed song, one that mirrors the Silver Medal competition at Scotland’s Royal Mòd. We also have an open song category for those brave souls trying out a song for the first time on the stage, or those who want to get an adjudication on a song they have been working on. Those vying for the top prizes of the Mòd, the Herbert P. MacNeal Memorial Quaich for the men, and the Marietta MacLeod Memorial Quaich for the women, will sing two more songs besides the prescribed piece before the day is over. This year, our winners are Iain Grimaldi of New York, and Anne Alexander of Ohio. We should also mention that we presented the SCOT shield for waulking – Catrìona Parsons presented this to Frances Acar as the leader of the “Buildheann Luathaidh nan Stàitean” team! Everyone worked diligently on their songs all year, and the high marks they received in the end showed it. They got a chance to continue the demonstration of their hard work Saturday night, at the Mòd banquet, where they, our distinguished guests, and the other attendees sang in an informal cèilidh after dinner. Sunday, those who were able to get enough sleep after the long night of fun, gathered together in the conference room of the Antiochian Village for an excellent set of workshops provided by our adjudicator, Catrìona Parsons. We learned about Gaelic Psalm precenting, and then worked on a set of puirt-a-beul that is sure to appear next year in our ACGA events and cèilidhs! In the end, we had to say good-bye to our friends, new and old, and begin the journey home. We look forward to next year’s Mòd, and to the chance to once again meet and celebrate the bounty of Gaelic culture that is still alive, and still can move hearts and inspire minds. Please join us in congratulating this year’s Gold Medalist, John Grimaldi and Anne Alexander! Reserve Your Place at the 2013 U.S. National Mòd! The registration and rules packet for the 2013 U.S. National Mòd is now available. The packet, which may be downloaded in PDF format here, contains all the rules and registration materials you need to compete in any of the competitions at the Mòd Sept. 20-22 or via the Distance Learning Competition (formerly called “the mail-in Mòd”). The packet also includes the forms needed to reserve a room at the Antiochian Village from Friday, Sept. 20, through Sunday, Sept. 22. The Antiochian Village for years has been home to the Mòd during the Ligonier Highland Games. The Mòd opens Friday, Sept. 20, with dinner, poetry and storytelling competitions at the Antiochian Village. Lodging at the Antiochian Village, only about 20 minutes from the Ligonier Highland Games and downtown Ligonier, includes dinner Friday, breakfast Saturday and breakfast and lunch Sunday. The registration packet also includes a reservation form for the Mòd Banquet and Cèilidh Saturday, Sept. 21, at the Ligonier Tavern. The 26th annual U.S. National Mòd welcomes back adjudicator Catrìona Nic Iòmhair Parsons, one of the founders of the Mòd and our original adjudicator. Catrìona has adjudicated our competitions 10 times since 1988. We will also welome Scotland’s 2012 Royal National Mòd Gold Medal Winners Calum Mac Leòid and Eilidh Davies! Tha sinn an dòchas gum bi sibh còmhla ruinn am bliadhna ann an Ligonier. Thigibh dhachaigh dhan Mhòid! We hope you’ll join us this year. Come home to the Mòd! Two of our special awards, the Duais Daibhidh Mhic Risnidh (storytelling) and Searrag-Ghloinne nam Bàrd (poetry). Since its inception 25 years ago, the U.S. National Mòd has presented special awards to its top competitors and for special achievement in Scottish Gaelic language arts. Over the years, the list of awards has expanded from the core prizes for the best male and female singers to include awards for storytelling, poetry, songs from a particular region’s tradition, and original writing. 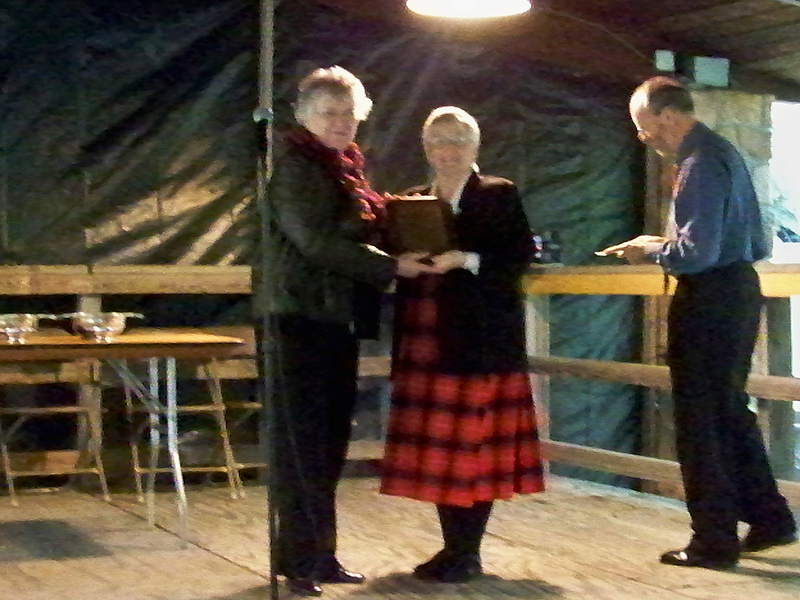 The Marietta MacLeod Memorial Quaich: This award goes back to the founding of the U.S. National Mòd in 1988. The quaich is presented annually by Donald F. MacDonald in memory of his wife, the late Gaelic singer Marietta MacLeod, or Màiri Oighrig nic Choinnich MhicLeòid, and her sister, Kitty MacLeod, to the highest scoring female singer, our U.S. Mòd gold medalist. This year, for the first time in our history, it went to two women who tied in scores for Gaelic and music and share the honor, Erin Park of Pennsylvania and Anne Alexander of Ohio. Mealaibh an naidheachd, ‘s bu mhilis an òrain! 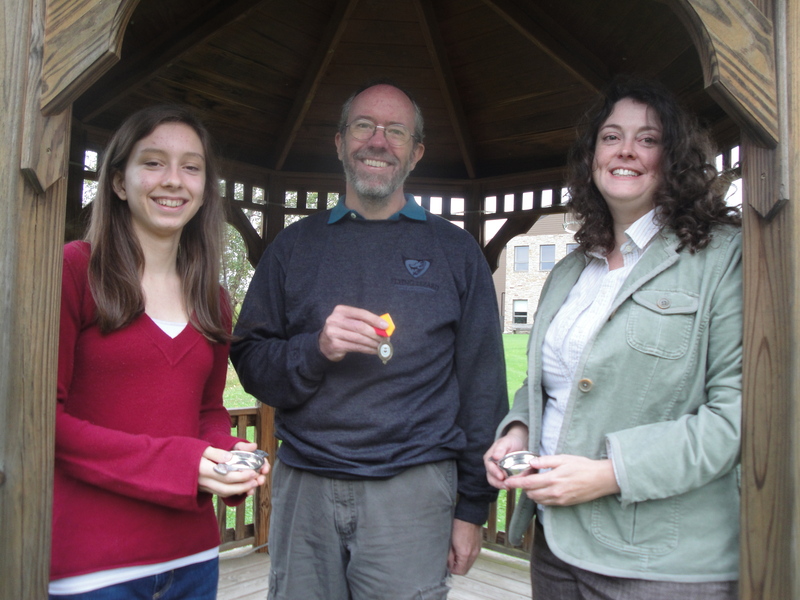 Erin Park, left, and Anne Alexander, both winners of the Marietta MacLeod Memorial Quaich for 2012. The Herbert P. MacNeal Memorial Quaich: This award has been presented by the Clan MacNeil Society to the highest scoring male singer at the Mòd since 1989 in memory of Herbert P. MacNeal, a founder of the Council of Scottish Clans Association and former president of the Clan MacNeil Society who died in 1988. MacNeal was a patron of the Scottish arts, and was instrumental in establishing the Scottish Harp Society of America. 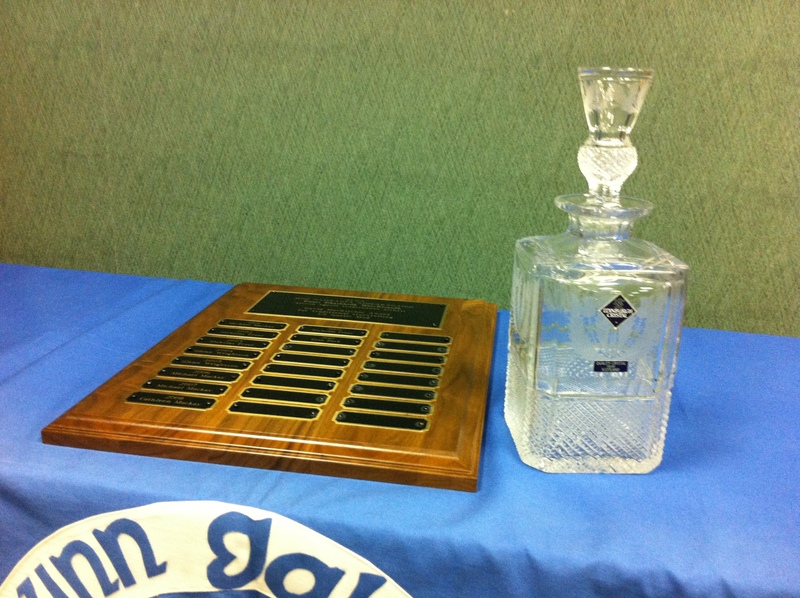 This year the MacNeal Quaich went to Micheal Mac Aoidh of Virginia. 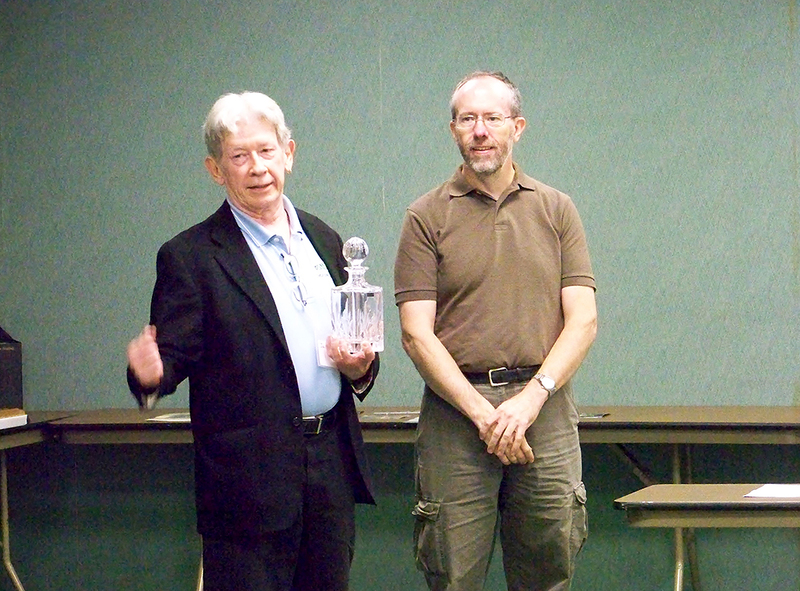 Searrag-Ghlainne nam Bàrd: This prize, in the form of an Edinburgh Crystal Decanter, is presented each year by Donald F. MacDonald for the best poetry recitation at the Mòd. 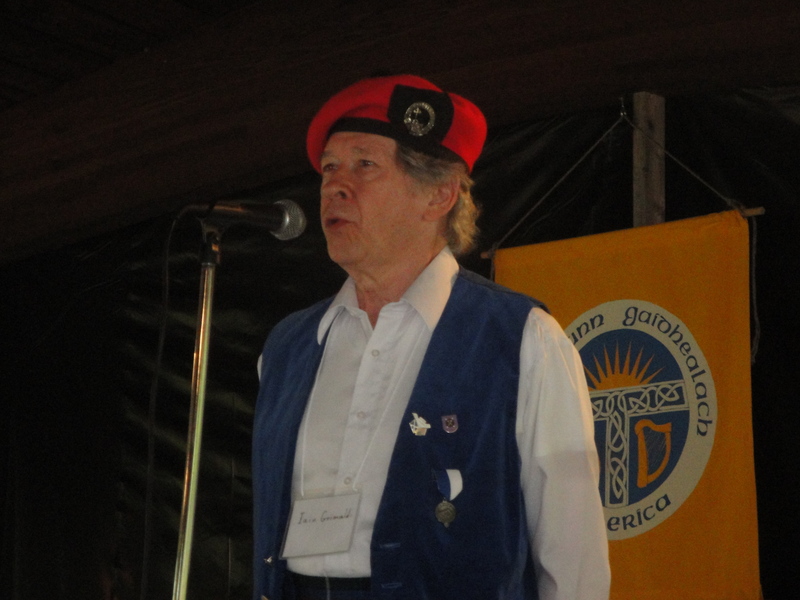 MacDonald, along with Catrìona NicÌomhair Parsons, is a co-founder of the U.S. National Mòd. 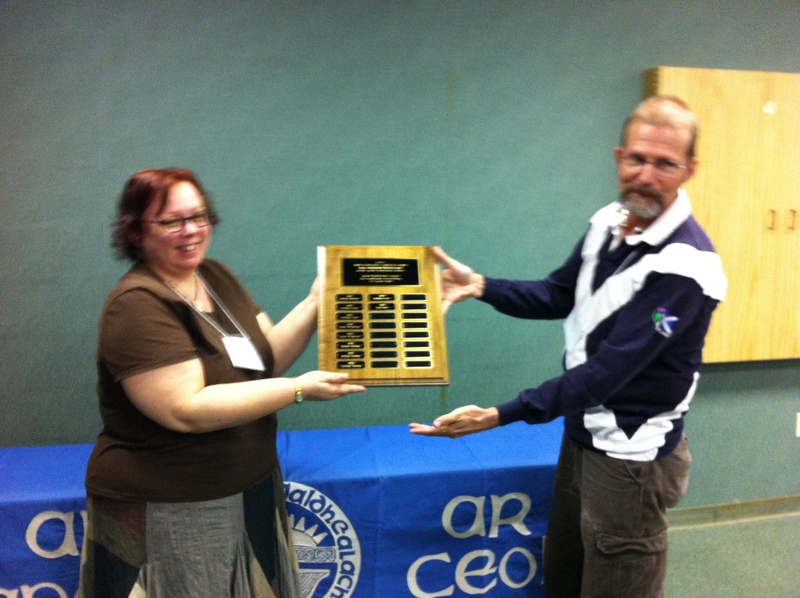 This year the award was presented to Micheal Mac Aoidh of Virginia. 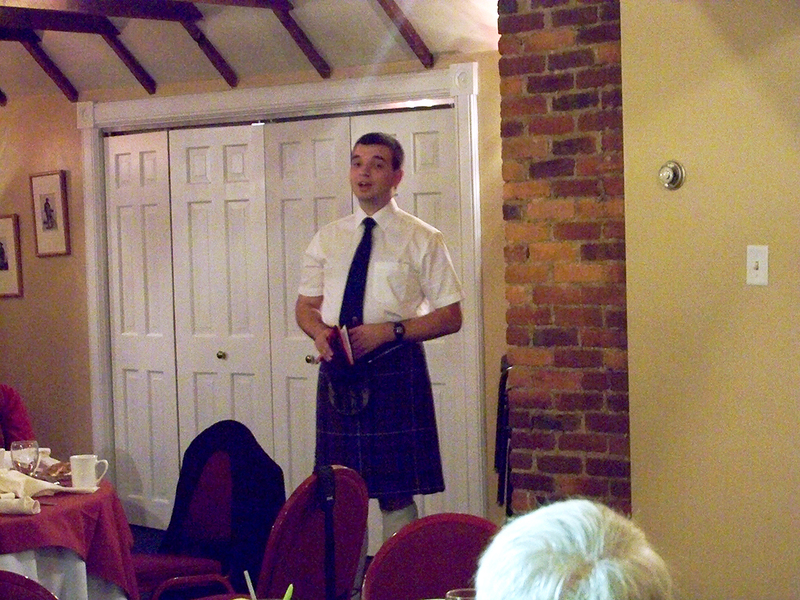 Micheal Mac Aoidh recites a poem at the U.S. National Mòd. The S.C.O.T.S. Shield: This award is presented by the Scottish Club of the Twin States (Vermont & New Hampshire) to the winners of the Òran Luaidh/Waulking competition. 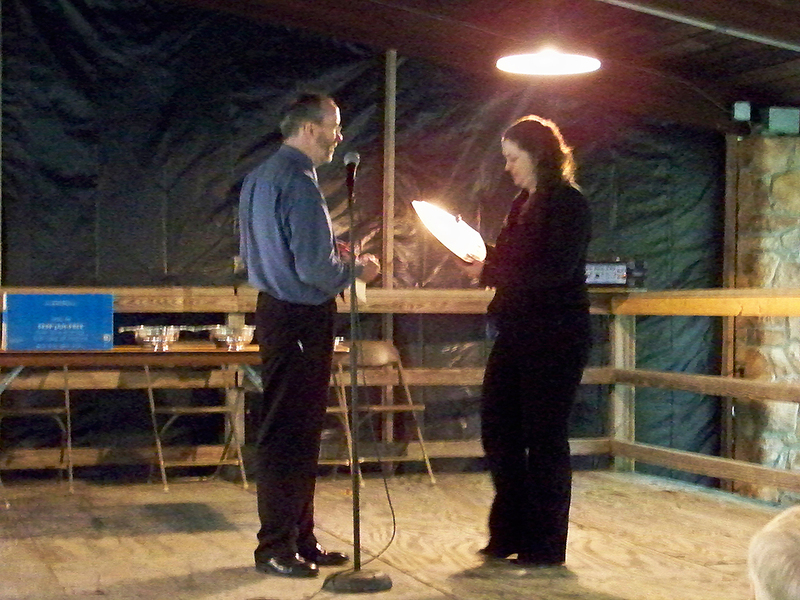 This year the prize went to an impromptu group, Waulkers Without Borders. The group included singers from several states and Canada. Duais Leòdhais agus na Hearadh: The Lewis and Harris award is presented by the Lewis Highland Dance Society in memory of Donaidh M. MacIlleathain, Gaelic playwright and activist from Bac, Lewis, for best presentation of a Lewis and Harris song. This year the award went to Erin Park of Pennsylvania. Duais Iain Mhic Mhurchaidh: The John MacRae award is one of two prizes meant to encourage original writing in Scottish Gaelic in North America. The award is presented by the U.S. National Mòd for the best original poem submitted to the Mòd. This year the award went to Michael MacIntyre. Iain Mac Mhurchaidh was an 18th century bàrd who emigrated to North Carolina. These awards are a special part of the history and heritage of the U.S. National Mòd. Look for blog posts about the individual prizes, their histories and this year’s winners on A’ Seinn Còmhla throughout the year. 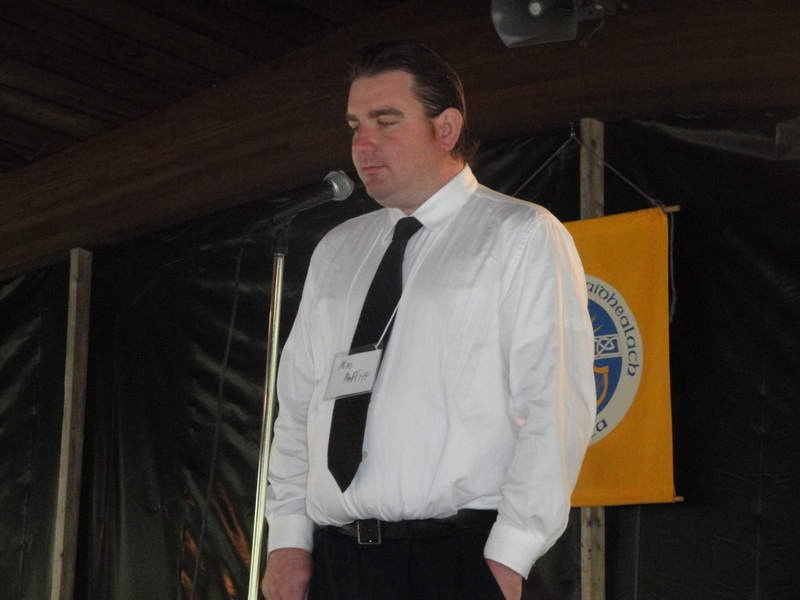 Iain Grimaldi sings “Chì Mi Muile nam Beann Mòr” at the U.S. National Mòd in Ligonier, Pa., Sept. 22. 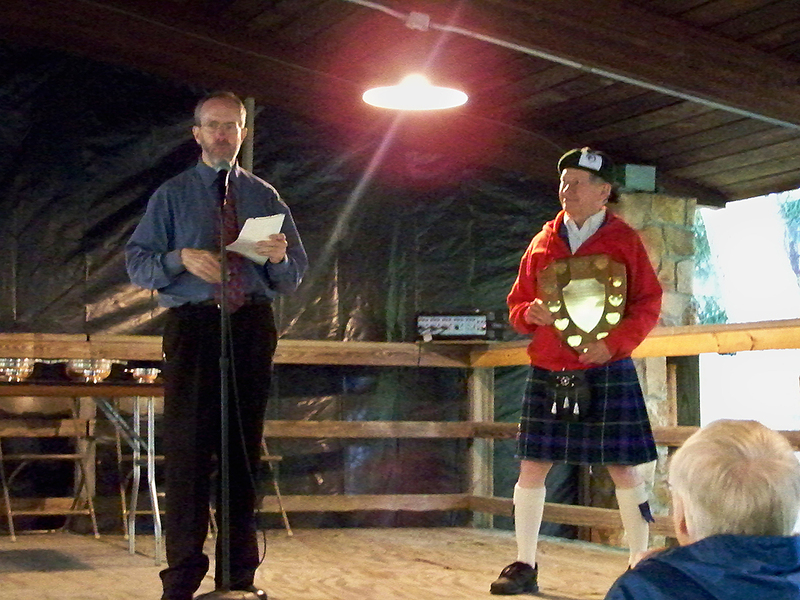 After poetry and storytelling competitions on Friday, Sept. 21, the U.S. National Mòd reconvened Saturday, Sept. 22, for song competitions at the Ligonier Highland Games. Singing is at the core of the Mòd, and the song competitions have expanded to include choirs and groups as well as solo performances in a variety of categories throughout the day. Competitors who wish to enter the song finals must sing one prescribed song as well as one song in another category, such as a work song or puirt-à-beul to qualify. The prescribed songs were the same as those for the Gold Medal competition at this year’s Royal National Mòd in Scotland — “Gur tu mo bhean chomain” for men and “Ma’s ann ‘gam mhealladh” for women. 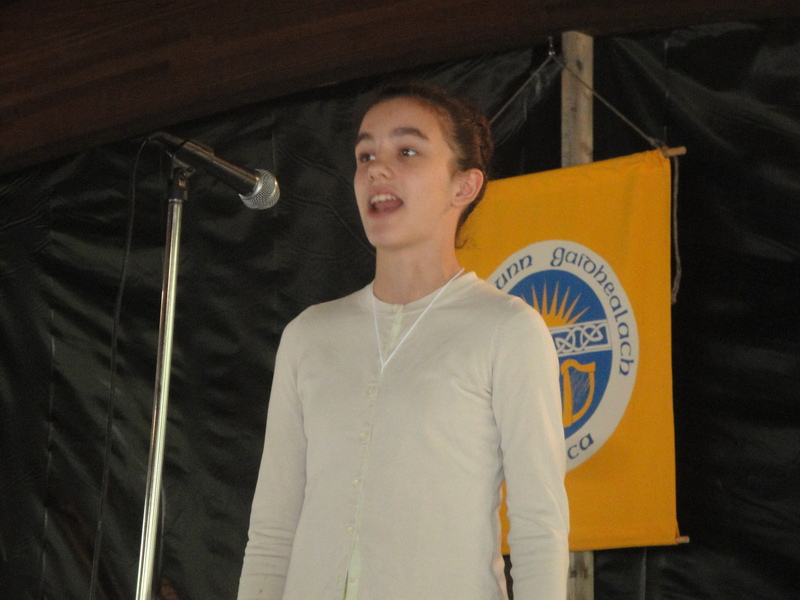 Sadie Park of Pennsylvania sings at the U.S. National Mòd. This year eight competitors entered the solo singing competitions. 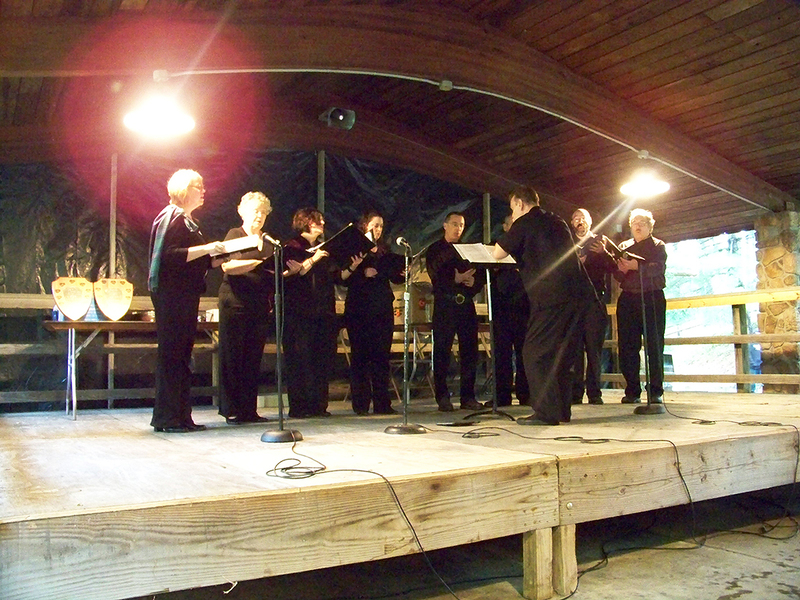 Còisir Gàidhlig nan Stàitean, the U.S. Gaelic Choir, also performed for a second year, and Waulkers Without Borders gave the tweed a vigorous thumping. In addition to the prescribed song competition, singers could chose a song of their own choice, a work song of any type, and a puirt-à-beul or mouth music set. Co-fharpais Fhosgarra (competitor’s choice): 1st Place, Iain Grimaldi of New York; 2nd Place, Sadie Park of Pennsylvania; 3rd Place, Mike Moffitt of Florida. Òran Ainmichte (prescribed song): Na Fir (men) 1st Place, Micheal Mac Aoidh of Virginia; 2nd Place, Liam Ó Caiside of Virginia. Na Mnàthan (women) 1st, Anne Alexander of Ohio & Erin Park of Pennsylvania (a tie). 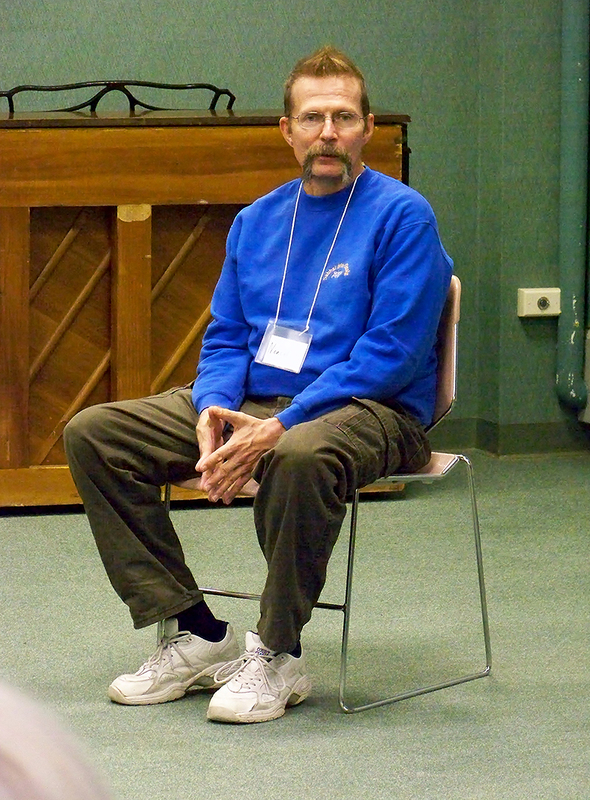 Mike Moffitt of Florida sings at the U.S. National Mòd. Co-fharpais nan Clann (children & youth): 1st Place, Cairistìona Waugh of Ottawa, Canada. 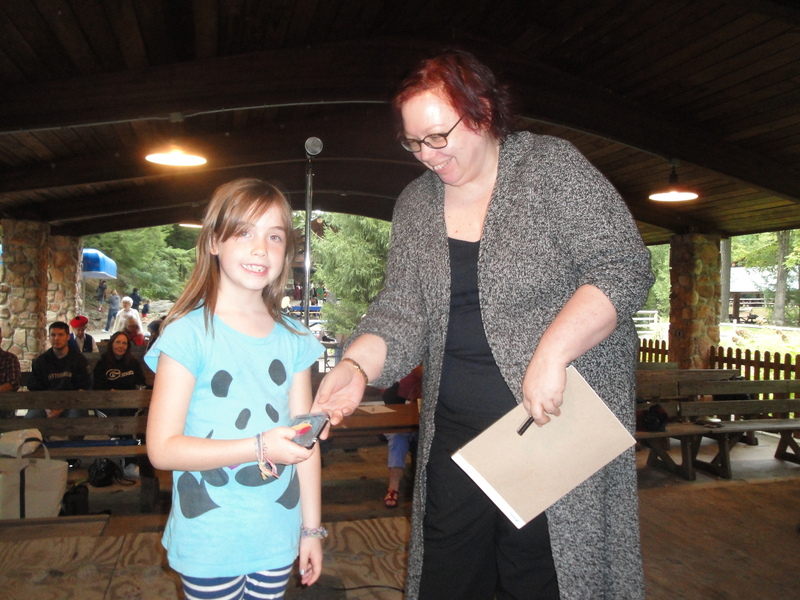 Cairistìona Waugh of Ottawa won the Gold Medal in the Children’s competition. Òran Obrach (work song — waulking, spinning, rowing, etc. ): 1st Place, Liam Ó Caiside and Erin Park; 2nd Place, Micheal Mac Aoidh. Fiona MacDonald of Ottawa sings at the U.S. Mòd. She won the Gold Medal in 2010. Puirt-à-Beul (mouth music for dancing): Na Mnàthan (women) — 1st, Anne Alexander; Na Fir (men) — 1st, Iain Grimaldi. Na Còisearan (choirs): 1st Place, Còisir Gàidhlig nan Stàitean (U.S. National Gaelic Choir). Na Crìochnaichean (final song, competitor’s choice): Na Mnàthan (women) — 1st, Erin Park; 2nd, Anne Alexander; Na Fir (men) — 1st, Micheal Mac Aoidh; 2nd, Liam Ó Caiside. 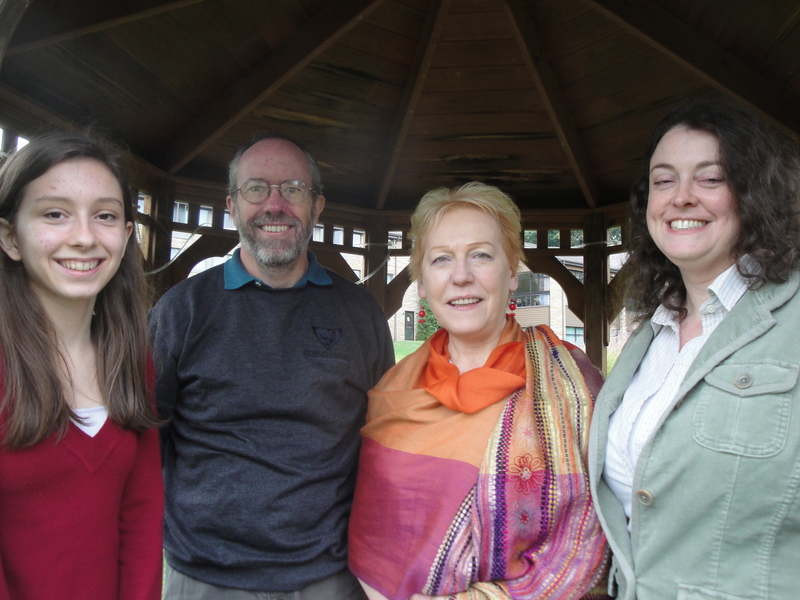 From left, Erin Park, Micheal Mac Aoidh, adjudicator Beathag Mhoireasdan, Anne Alexander. 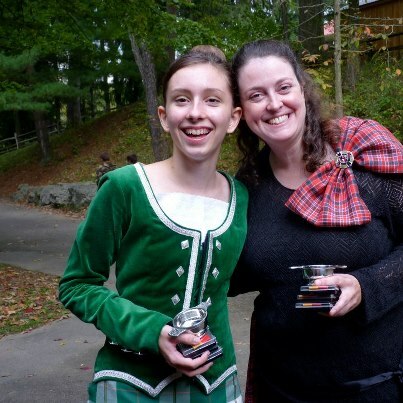 Erin Park and Anne Alexander tied in Gaelic and Music to win the women’s gold medal and the Marietta MacLeod Quaich presented by Donald F. MacDonald, the award for the best female vocalist at the Mòd. This is the first time two competitors have shared one of the top awards at the U.S. National Mòd. The men’s gold medal went to Micheal Mac Aoidh, winner of the Herbert P. MacNeal Memorial Quaich, presented by the Clann MacNeil Society. Mealaibh ur naidheachd, a h-uile duine! Congratulations everyone on a Mòd well done and songs well sung. 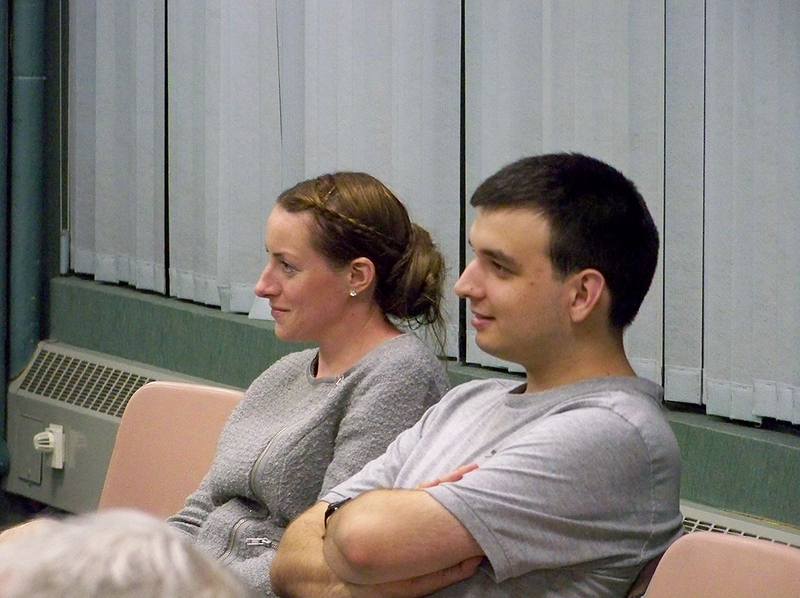 2012 U.S. National Mòd Gold Medal winners, from left, Erin Park, Mike MacKay and Anne Alexander. It was the first Mòd where we had three gold medal winners, with two women, Anne Alexander and Erin Park, sharing a top prize. It was the first Mòd featured in an hour-long program on BBC’s Radio nan Gàidheal, hosted by Coinneach MacÌomhair. It was the first Mòd preceded by a Concert featuring last year’s gold medal winners, and the first Mòd supported by broad-based fundraising. “This year, the Mòd welcomed more people than it has seen in many years, and from the literature competitions on Friday to the singing events on Saturday and the workshops held Sunday morning, our guests took advantage of the high standard of excellence provided by the Mòd,” said Cathleen Ransom MacKay, chair of the committee that organizes the Mòd for ACGA — An Comunn Gàidhealach Ameireaganach. Several first-time competitors and attendees from as far as Ohio and Florida attended the Mòd, held at the Ligonier Highland Games in Western Pennsylvania Sept. 21-23. Althogether, 36 people attended the Mòd, staying at the Antiochian Village in Ligonier, not far from the Highland Games. 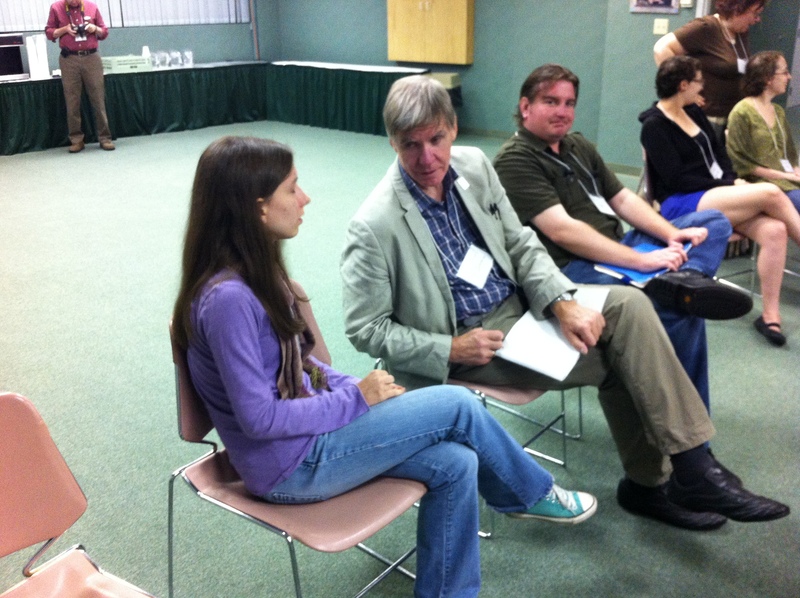 Erin Park of Pennsylvania talks with Coinneach MacÌomhair at the opening of the Mòd Friday, Sept. 21. The Mòd began Friday with dinner followed by competitions in Bàrdachd (poetry), Leughadh air a’ Chiad Sealladh (sight-reading) and Sgeulachd (storytelling). Song competitions, from prescribed songs to own choice, work songs, puirt-à-beul and a choir performance, followed Saturday. 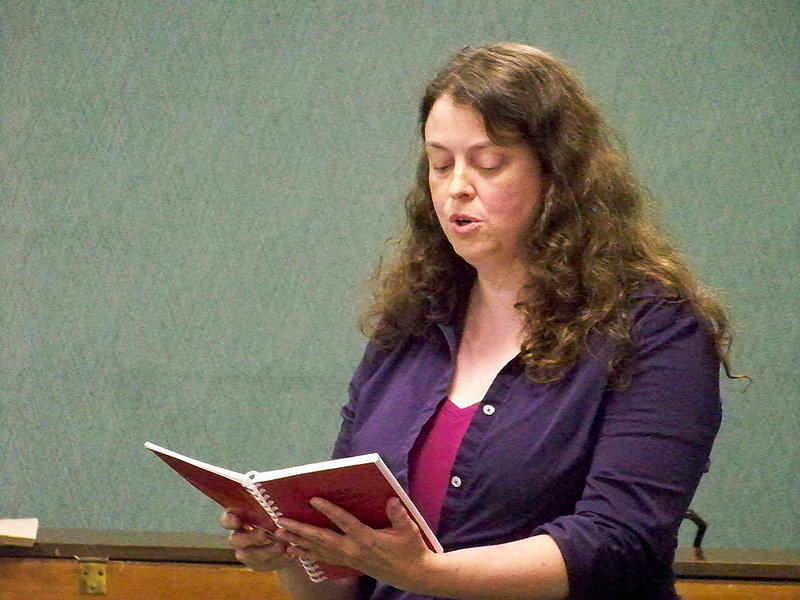 Our adjudicator this year was Beathag Mhoireasdan of Lewis and Glasgow, who returned to the U.S. Mòd for the fifth time. This year, our special guests were Niall Caimbeul of Benbecula, who won the men’s gold medal at the Royal National Mòd in Stornoway last year, and Coinneach MacÌomhair of Lewis, a veteran Gaelic broadcaster and host of a daily program on BBC Radio nan Gàidheal. Mike Moffitt of Fort Pierce, Fla., in the storytelling competition. 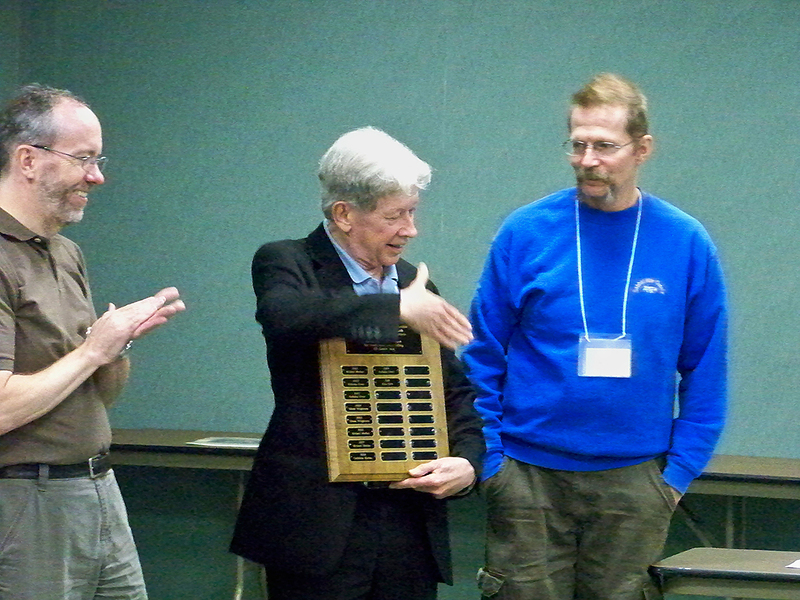 Bàrdachd (poetry recitation, own choice): 1st Place, Micheal Mac Aoidh (MacKay) of Virginia; 2nd Place, Rob Greenwalt of Ohio. Mac Aoidh won reciting (from memory) a poem of his own composition. Leughadh air a’ Chiad Sealladh (Sight-Reading): 1st Place, Liam Ó Caiside (Cassidy) of Virginia; 2nd Place, Micheal Mac Aoidh; 3rd Place, Erin Park of Pennsylvania. In this competition, entrants are asked to read at first sight a passage in Gaelic selected by the adjudicator. Sgeulachd (Storytelling): 1st Place, Caitlin Nic Aoidh (MacKay) of Virginia; 2nd Place, Liam Ó Caiside; 3rd Place, Mike Moffitt of Florida. This competition allows both traditional stories and competitor’s own compositions. Nick Freer presents Cathleen MacKay with the Duais Dhaibhidh Mhic Risnidh/David MacRitchie Award for best traditional Gaelic story told in the competition. Niall Campbell and Catrìona Watt, 2011 Royal National Mòd Gold Medal winners. Two Scottish Gaelic singers, Catrìona Watt and Niall Campbell, will be special guests of An Comunn Gaidhealach Ameireaga at this year’s 25th Annual U.S. National Mòd in Ligonier, Pa., Sept. 21-23. 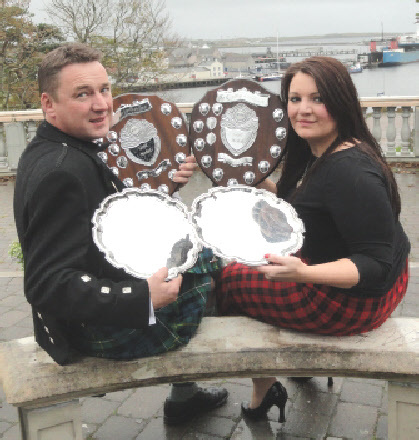 Catrìona and Niall won the prestigious Gold Medal awards at last year’s Royal National Mòd in Scotland. This will be the 15th year An Comunn Gaidhealach in Scotland has sent its Gold Medal Mòd singers to the U.S. National Mòd as cultural ambassadors and tradition bearers and we’re delighted to welcome Catrìona and Niall to our 25th annual event. Catrìona was born in Aberdeen and raised in Stornoway on the Isle of Lewis, where she learned songs from her grandmother, who lived on Beàrnaraigh Mòr. She won the BBC Young Traditional Musician of the Year award in 2007 and is a student at the Royal Scottish Academy of Music and Drama in Glasgow. 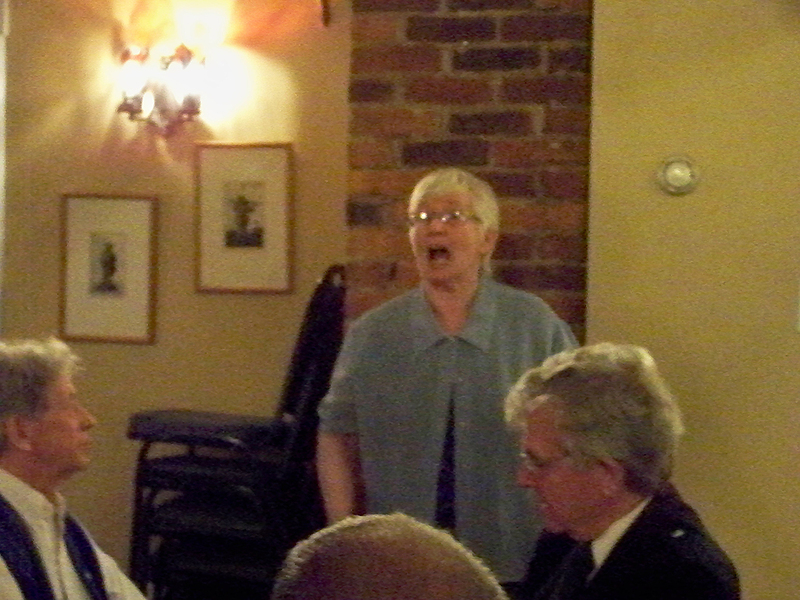 She has performed in Scotland and in Cape Breton, Norway and Ireland and released an album, Cadal Cuain, in 2008. You can listen to some of the songs from Cadal Cuain on her Myspace page. Niall is a crofter from the Hebridean island of Beinn a’ Bhaoghla or Benbecula, located between the islands of North and South Uist. He comes from a family of musicians, including his father, Calum, a well-known piper and composer. He stopped singing after a family tragedy in 2005 but was encouraged to return to music and the Mòd last year by Paul MacCallum, a friend and former Gold Medalist and U.S. Mòd adjudicator. Tha sinn uile toilichte gum biodh iad còmhla rinn am bliadhna aig an còigeamh air fhichead Mòd Naiseanta Aimeireagaidh. Bithidh fàilte agus furan a’ feitheamh orra nuair a ruigeadh iad na Stàitean anns an t-Sultain! We hope you will be able to attend the Mòd to meet Catrìona and Niall and hear them perform at the Ligonier Highland Games Sept. 22. 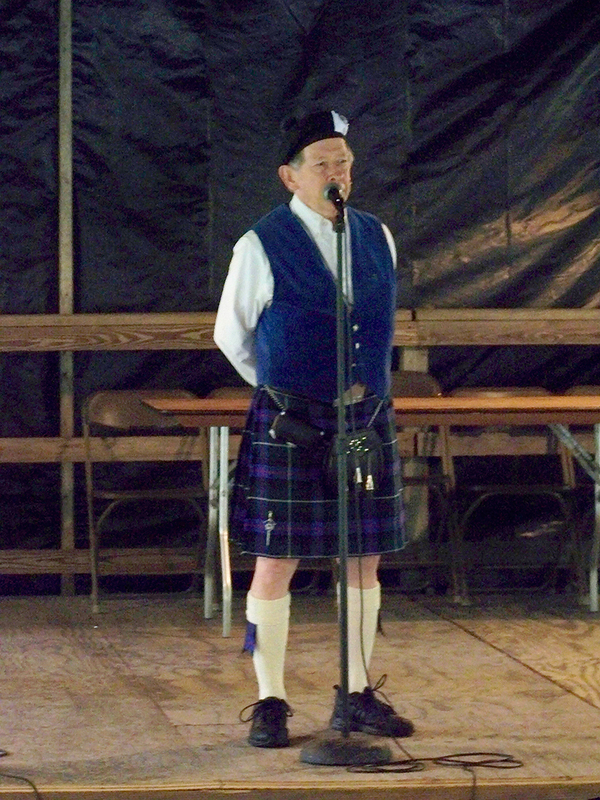 Posted in Uncategorized | Tags: Ceòl, Gaelic, Gàidhlig, Mòd, Music, Scottish, Singers, Song, U.S.
Gaelic activities sponsored by the Mòd and ACGA at the Fair Hill Colonial Highland Games, May 19, 2012. 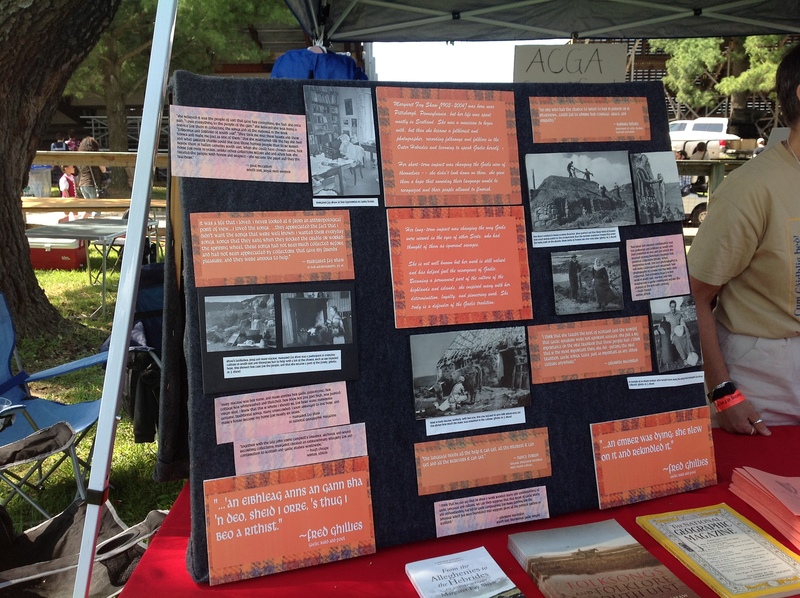 The Mòd crew hit the road last week to raise Gaelic awareness at the Fair Hill Colonial Highland Gathering in Fair Hill, Md., near historic Elkton. 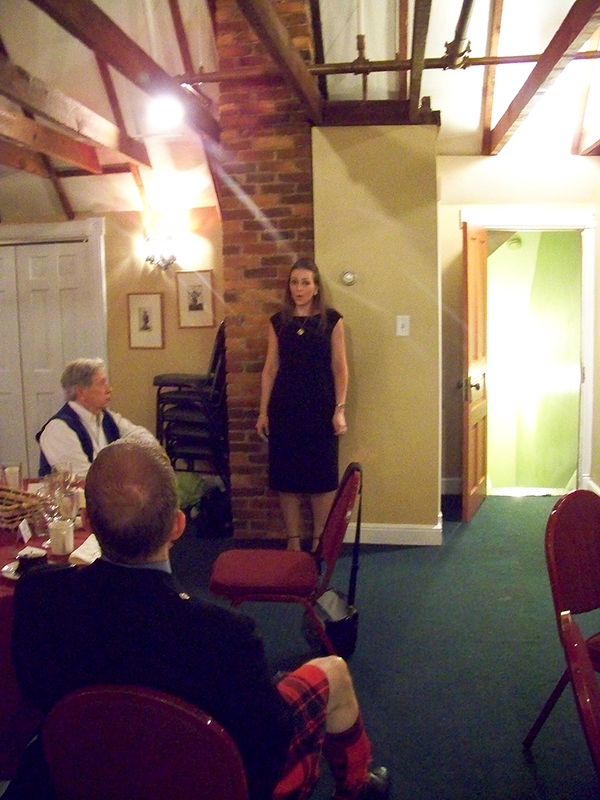 For the first time, An Comunn Gaidhealach Ameireaga and the U.S. National Mòd had a presence at Fair Hill, conducting Gaelic language and song workshops, passing out information on the U.S. Mòd and launching another first, a raffle for a custom-made kilt to benefit the Mòd! Kiltmaker Bonnie Heather Greene is donating a custom-made, hand-sewn Kilt and Kathy Park of Bonnie Toes a pair of custom Argyle Kilt Hose to raise funds for the 25th U.S. National Mòd, Sept. 21-23, 2012. Raffle tickets are $10 or three for $25. Online ticket sales will be here soon via PayPal. More than $300 worth of tickets were sold at the Fair Hill games, and we will be selling tickets at the Ohio Scottish Games (June 21-23), Grandfather Mountain Highland Games (July 12-15) in North Carolina, the Virginia Scottish Games (Sept. 1-2) and at the U.S. National Mòd and Ligonier Highland Games (Sept 22). The winning raffle ticket will be drawn at the Mòd Dinner and Cèilidh in Ligonier on Sept. 22 – but you don’t have to be there to win. The raffle is part of a special fundraising drive for the 25th U.S. Mòd – a milestone for the Gaelic language movement in North America. We kicked off our fundraising effort with a special Mòd concert in Alexandria, Va., March 16 that raised more than $900. We’re hoping to at least match if not exceed that amount through the raffle. Get more information on the raffle here. The Mòd crew at the Fair Hill games was led by Kathy Park with Erin, Sadie and Julius Park, Iain Grimaldi, who came down from New York for the event, Mòd Committee member Sherry Kreamer, fidder and Gaelic singer Doyle Raines and Liam Cassidy, who led language and song workshops. The Parks designed a wonderful tent and display with information about the Mòd, ACGA, Gaelic and Margaret Fay Shaw. Display on the life and work of Gaelic song collector and musicologist Margaret Fay Shaw by Erin Park. We hope to return next year with more workshops, including storytelling, and a performance by Mòd singers on the main stage.